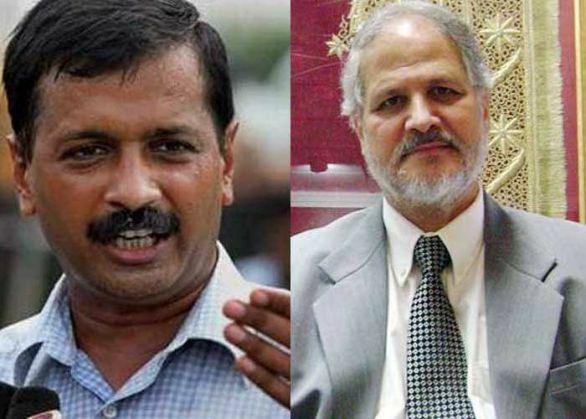 The relentless feud between Delhi Chief Minister Arvind Kejriwal and Lieutenant Governor Najeeb Jung continues. In his latest directive, Kejriwal and his cabinet ministers have instructed bureaucrats to submit any directives they get from Najeeb Jung, whether oral or written, to them. According to them, no action should be taken on Jung's directions till further instructions from the CM or his cabinet. Despite an earlier directive by the CM, many officials continued to send files on crucial issues to the Lt Governor, prompting the government to issue a warning to those not adhering to its order. The directive states, "It has been seen that some secretaries and heads of departments are violating these orders. Any violation would be deemed to be an act of insubordination and dealt with strictly. " The directive also reiterated the power of the Delhi government under the Transaction of Business Rules (TBR). "Rules 4 and 5 of TBR outline methods of disposal of business relating to Lt Governor's executive powers and the procedures to be followed in case of differences of opinion between the Lt Governor and the government," stated the directive.